Baba Harbans Singh Domeli Wale were born on 20 September 1921 in the village of Haripur in district Sangrur in Punjab India. They were one of four sons of Mela Singh and Kirpa Kaur. The family was devoutly religious and Baba Jee were brought up as a Sikh from their birth. At only four years of age Baba Jee were inflicted with a severe form of polio which resulted in the paralysis of both of their legs. They were crippled and not able to walk for the rest of their life. Their movement was restricted to putting their weight on their arms and crawling on their knees on which they put padding when moving. Only a couple of years later Babe Jee suffered another tragedy with the unexpected passing away of their mother. Further misfortune was to strike their family soon after with their father losing the sight of their eyes. The tragic experiences suffered at such a young age led Baba Jee to a spiritual yearning. A chance meeting with Sant Daleep Singh Domele Wale was to change their life forever. historical links going back to the times of the Sikh Gurus being visited by Guru Hargobind Sahib following the victory of their fourth battle on 28 June 1634. Guru Hargobind Sahib are said to have erected a wooden column or tham with their own hands in the village of Domeli. The historical Gurdwara Tham Sahib marks their visit. Domeli lies close to the village of Babeli which also has a rich history being visited by Guru Har Rai Sahib. The historical Gurdwara Chaunta Sahib in Babeli marks the memory of Guru Har Rai Sahib’s visit. Sant Daleep Singh and other Sikhs of Domeli and Babeli played a significant role in the Gurdwara Sudhar movement and in the freedom struggle against the British Raj. The villages of Domeli and Babeli lie adjacent to a small forest that was used as a secret meeting place of the Babbar Akalis. On 31 August 1923 an encounter took place at Babeli between Babbar Akalis and the British controlled police forces in which four Babbars were killed. Gurdwara Babbar Shaheed in Babeli marks the martyrdom of the Babbars and there is an annual Shaheedi Mela in the village to this day. Sant Daleep Singh provided food and shelter to the Babbar Akalis during that period and themselves contributed in the freedom struggle by leading Sikhs from Domeli and adjoining villages in the seventh and eighth jathas (groups) to the Jaito Morcha agitation and campaign of civil disobedience against the British Raj on 29 June 1924. Baba Harbans Singh was mesmerised by the personality of Sant Daleep Singh and pleaded with Sant Jee to take them to Domeli. With the agreement of their family and of Sant Daleep Singh Baba Harbans Singh moved to Domeli in or around the late 1920s. Living and growing up in the sangat (accompaniment or congregation) of Sant Daleep Singh ensured that Baba Harbans Singh were given a full academic and religious education including learning kirtan (devotional singing with musical instruments), santhiya (the grammar and correct pronunciation of Sikh scriptures) and ayurvedic (herbal) medicine directly from Sant Daleep Singh themselves. Baba Jee took khande ki pahul (Sikh initiation or baptism) soon after arriving in Domeli. Baba Harbans Singh were exposed to the strict daily routine of Sant Daleep Singh involving waking up at amritvela (the hours before dawn breaks) every morning and doing naam simran abhias (meditation) before partaking fully in the divans (services) at the Gurdwara on a daily basis. It was a practice which Baba Harbans Singh were to follow and maintain for the rest of their life. In November 1931 Sant Daleep Singh with the support of the local villagers established Gurdwara Nirmal Ashraam in Domeli. In time Sant Daleep Singh gave Baba Harbans Singh the seva (voluntary responsibility or service) of managing the provision of langar (food) and ayurvedic medicine at the Gurdwara. Baba Jee observed the seva with great dedication and personally prepared the langar and washed the dishes of the sangat on a daily basis. Despite not being able to walk Baba Jee used to regularly personally collect wood for preparing the langar from acacia shrubs and trees. They would painstakingly break the wood into short pieces before bringing it back. Their only way of moving was to crawl on their knees but they arduously managed to bring the wood back by way of tying it to their legs and straddling it back to the langar hall such was their dedication to doing theseva they had been allotted. Living in the close proximity of Sant Daleep Singh meant Baba Harbans Singh were part of a vibrant Sikh community with the constant coming and going of Sikhs who came from far and wide in search of spiritual sangat and upliftment. These included the great Sant Jawala Singh Harkhowal Wale who frequently visited and stayed in Domeli with Sant Daleep Singh. Baba Harbans Singh developed a great affection for Sant Jawala Singh and upon the instructions of Sant Daleep Singh Baba Jee went to village Taloni to stay in the sangat of Sant Jawala Singh for a period of time. Baba Jee regularly kept in their sangat even after the passing away of Sant Daleep Singh. Sant Jawala Singh themselves passed away whilst in Domeli on a visit to Baba Harbans Singh in 1957. Sant Daleep Singh passed away on 21 August 1949. They did not appoint a successor or establish a lineage or ‘gaddi’ to succeed them following their departure and left the management of the Gurdwaras at Domeli to be shared between Baba Harbans Singh and Baba Sarvan Singh Gandharab.Sant Daleep Singh encouraged all to have faith in only Guru Granth Sahib and wished to avoid a situation in which the general members of sangat started to worship them as individuals rather than Guru Sahib. Sant Daleep Singh Jee were followed in this conviction eight years later by Sant Jawala Singh Harkhowal Wale who also made clear they were not appointing a successor or establishing a lineage after them and rather conferred the responsibility of managing the Gurdwaras at Harkhowal to five Sikhs.Baba Harbans Singh Jee faithfully observed the legacy of Sant Daleep Singh and Sant Jawala Singh and did seva without ever holding themselves out as the spiritual successors to Sant Daleep Singh. Despite their obvious physical restrictions Baba Harbans Singh followed the example of Sant Daleep Singh and carried out an immense amount of seva in Domeli and beyond.They led the kar seva of the historical Gurdwara Tham Sahib in Domeli, the construction of a langar hall and sarovar at the historical Gurdwara Chaunta Sahib in Babeli, the construction of a monument in memory of the Babbar Akali Shaheeds in Babeli, the construction of Bhagat Ravidas Gurdwara in Domeli, the construction of the Gurdwara Sahib in Dhaha Kaleran adjacent to the Guru Nanak Mission Hospital and the construction of Gurdwara Har Sar Sahib in Mahala Kila in Nurmahal the opening of which was undertaken by Baba Nihal Singh Harian Velan Wale. 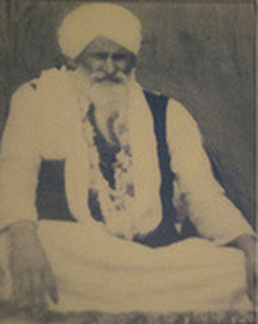 Baba Jee also supported in the construction of Shaheed Bibi Deep Kaur Gurdwara in Talwan near Nurmahal.Baba Harbans Singh in particular emphasised the importance of education and led or contributed in the establishment of a number of educational facilities including the Sant Baba Dalip Singh Memorial Khalsa College in Domeli, Sukhchainana Khalsa College Phagwara, Ramgarhia College Phagwara and the Professor Darshan Singh Komal Sangeet College in Hoshiarpur. The Khalsa College of Domeli is now a leading college in the region and is an affiliate college of the preeminent Guru Nanak Dev University in Amritsar. Baba Harbans Singh Jee also recognised the importance of the provision of health care to the villagers of Domeli and beyond and made significant donations to a number of hospitals regionally, organised free medical camps and themselves made and provided free herbal medicine. Living and growing up in the sangat of Sant Daleep Singh meant Baba Harbans Singh were exposed to the Babbar Akali movement and the wider political issues facing the Sikh Panth (nation or community) during that period. This was to have a profound impact on Baba Harbans Singh and they were to actively contribute to the Panthic issues of their time. Baba Harbans Singh recognised the importance of preserving the history of the contribution that Babbar Akalis and other Sikhs of Domeli and surrounding villages made to the struggle against the British Raj. They led the construction of a monument in memory of the Babbar Akali Shaheeds in Babeli.They also painstakingly gathered together the photos of those Sikhs who were martyred during that period. After having collected them they arranged a nagar kirtan (procession) from Phagwara to Babeli prominently displaying the photos along the way in recognition of those who had given their lives in the struggle for freedom. As any student of Sikh history will know the overwhelming contribution that Sikhs made to the struggle for Indian independence was soon forgotten and did not lead to the Sikhs experiencing the glow of freedom in post colonial India that had been promised to them. This led to the Punjabi Suba agitation and campaign of civil disobedience organised by the then principal Sikh political party the Shiromani Akali Dal in the 1950s and 1960s. Baba Harbans Singh keenly participated in the Punjabi Suba agitation were even arrested and jailed for a period during that time. In the 1970s Baba Jee sent jathas of Sikhs from Domeli to take part in the protests called by the Shiromani Akali Dal following the declaration of emergency rule by the then Indian Prime Minister Indira Gandhi. Subsequently Baba Harbans Singh also supported the Dharam Yudh Morcha and sent money and grain to Amritsar during that period. Baba Jee went to visit Darbar Sahib in Amritsar at that time and met Sant Jarnail Singh Bhindrawale at Guru Nanak Nivas. They had not met before but upon seeing Baba Harbans Singh Sant Jarnail Singh became emotional and asked why Babe Jee did not order Sant Jarnail Singh to come outside the Nivas rather than Baba Jee coming up there in their condition. Baba Jee responded that Sant Jarnail Singh had the weight of the whole Panth on their shoulders so couldn’t Baba Jee do even this much to have their darshan. For the period that they sat together Sant Jarnail Singh and Baba Harbans Singh talked about nothing but Sikhi and shared stories of Sikhs of the past. Such is the greatness of true Sikhs that even in such turbulent times their focus always remains on Guru Sahib and Sikhi. The attack on Darbar Sahib Amritsar by the Indian army in 1984 hit Baba Harbans Singh Jee very hard. In their quieter moments even years later Baba Jee used to get emotional when talking about the attack. They would encourage Sikhs the world over to support those fighting for the Sikh cause at the time and supported conferences raising awareness and funds during that period. Following the attack on Darbar Sahib Baba Jee supported the passing of the management of the historical Gurdwara Tham Sahib in Domeli to the Shiromani Gurdwara Prabandhak Committee as an act of solidarity with the Panthic cause. Baba Harbans Singh came to the UK for the first time in 1973 at the behest of the sangat who had before settling in the UK known Baba Jee. Such was the impression left on all the sangat that they continually sought Baba Jee to return.After some convincing Baba Harbans Singh eventually returned in 1978 and held one of the first reinsabaees (all night kirtans) in the UK at Sri Dashmesh Gurdwara in Lozells Birmingham. The sangat pleaded with Baba Jee to stay permanently in the UK but they returned saying they wished to remain in Domeli.Unbeknown to Baba Harbans Singh the sangat bought a property in West Bromwich and later informed Baba Jee that they wished for them to return to the UK and establish a Gurdwara there. Acceding to the request of the sangat Baba Harbans Singh came back to the UK in 1979 permanently settling in West Bromwich thereafter and with the support of the sangat established Guru Har Rai Gurdwara. More details of the history of the Gurdwara Sahib can be found here.Domeli was never far from Baba Harbans Singh Jee’s thoughts however and they made regular visits back home after settling in the UK. The name of the Gurdwara was chosen by Baba Harbans Singh in connection with the history of Babeli at which Guru Har Rai Sahib had visited.Baba Harbans Singh stayed within the Gurdwara and swiftly established it as one of the leading Gurdwaras in the midlands region being at the forefront of pioneering practices which were subsequently adopted by other Gurdwaras in the UK and beyond.Baba Jee ensured that the Gurdwara had full morning and evening divans on a daily basis including kirtan (devotional singing of verses from Sikh scriptures with musical instruments) and katha (religious discourse) at a time when this was not common in the UK. The daily programme included kirtan of Asa Kee Vaar and larivaar (continuous) katha of historical Sikhs scriptures such as Sri Gur Pratap Suraj Parkash Granth.Baba Jee’s own nitnem (daily prayers) began in the early hours of amritvela and thereafter they used to go into the divan hall and begin the morning divan themselves. Once in the divan Baba Jee remained there and did not leave until the end on the divan. Similarly in the evening they would be in the divan hall at the start of Sodhar Rehras (evening prayers) and did not leave until the end of the divan after Guru Granth Sahib had been taken to Sachkhand (evening quiescent site).It was usual to see Baba Harbans Singh sitting in the sangat playing taleean (bells) and singing along with the kirtan. In view of the condition of their legs Baba Jee needed the aid of cushions to balance their weight in order to sit cross legged for such long periods but this did not ever stop them such was their thirst for listening to Gurbani.Baba Harbans Singh was a patron of parcharaks (kirtanis and other preachers) and often said that a kaum (nation or community) cannot respect its Guru if it does not respect those who speak the Guru’s word. Parcharaks coming from India lovingly referred to Baba Jee as their mother as they would get such love and warmth from them. Baba Jee showered parcharaks with affection and offered them significantly more financially then what they would have got at other Gurdwaras. Baba Jee would say parcharaks are reciting Guru Sahib’s Bani to feed their children and we as Sikhs have to ensure they are looked after for us to get the happiness of our Guru.The presence of Baba Jee ensured the Gurdwara was a vibrant community and it was not unusual for there to be numerous kirtanis staying at the Gurdwara at any one time. Such was the love Baba Harbans Singh had for kirtan there were occasions where following the end of the evening divan and following the sangat having gone home they would ask kirtanis to start doing more kirtan and personally call members of the sangat back to the Gurdwara.Baba Harbans Singh Jee were a proficient kirtani themselves as well having learnt from Baba Daleep Singh and Baba Sarvan Singh Gandharab. They implemented the maryada (tradition) of kirtan at Darbar Sahib Amritsar of requiring all kirtanis to at least sing the first shabad of their kirtan in traditional raag at Gurdwara Guru Har Rai Sahib.The Gurdwara was one of the first to offer santhiya lessons to members of the sangat wishing to learn the correct pronunciation of Gurbani. Baba Harbans Singh themselves taught santhiya and encouraged all to do rauls (recitals) at akhand paaths (continuous readings of Guru Granth Sahib) arranged at the Gurdwara. Baba Harbans Singh saw the inculcation of the Sikh faith and Sikh values to the next generation as one of the most important contributions that the Gurdwara could make and ensured the Gurdwara was one of the first in the UK to have a kirtan school. Babe Jee encouraged all parents in the sangat to send their children to the school.In time the school produced a number of youth kirtanis which Baba Jee lovingly adopted as hazoori (present or in-house) kirtani jathas and gave them time to do kirtan in the evening divan at the Gurdwara on a daily basis. 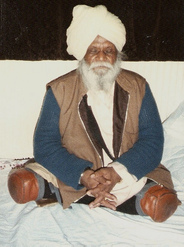 Baba Jee sought to develop the youth so that in time the Gurdwara could have UK born and bread parcharaks who could do parchar in English.In addition Baba Jee also reserved one Saturday evening every month for an extended youth kirtan darbar following the main divan in which all youth of the kirtan class participated. These divans became very popular and on occasions went on into the early hours of Sunday mornings all of which Baba Jee sat through and again did not leave until the end and sukhasan of Guru Sahib. Another passion of Baba Harbans Singh was to establish yatras (tours) to historical Sikh Gurdwaras in Pakistan. They had been shocked and saddened to see and hear of the state of disrepair of the Gurdwara buildings such as Gurdwara Sacha Sauda following the partition of Punjab in 1947.Baba Jee hoped that by establishing yatras to Pakistan, Sikhs from abroad would maintain a link with those few Sikhs remaining there and work to restore the Gurdwara buildings to their former glory. Babe Jee even wrote small poems encouraging Sikhs to not forget their history and heritage in Pakistan keeping in view every Sikh’s daily ardaas for the seva and sambhal or management of the Gurdwaras of Pakistan.Despite numerous problems faced at the time Gurdwara Guru Har Rai Sahib was the first institution to formally establish yatras to Pakistan from the UK in association with an established travel agency. Baba Harbans Singh themselves went on these yatras and collected money and clothes to distribute to the people of Pakistan. Such was their affection for all Sikhs and Muslims alike in Pakistan that Baba Jee popularly became known by the locals as the ‘Pir of Domeli’. Baba Harbans Singh had that rare quality of always exuding positivity and showing affection to all. They remained forever in positive spirits or Chardi Kala and had a radiance that was infectious and drew others to them. Everyone who met them instantly felt at ease with them and felt able to share their innermost thoughts with them.On one occasion a person from the sangat innocently asked Baba Harbans Singh whether they were ever saddened or frustrated with the fate that life had dealt them with the condition of their legs. Baba Jee could only laugh and say they owed everything to their crippled legs as it was upon seeing these that Sant Daleep Singh had taken mercy on Baba Jee and brought them to Domeli.Baba Harbans Singh always took the time to listen to the concerns and problems which members of the sangat shared with them. Baba Jee had an unshakeable belief in Guru Sahib and they would always ask anyone who came to them to go into the Darbar Sahib and do an ardaas (prayer) from their heart and that Guru Sahib would fulfil their wishes.Once a couple of members of the sangat came to Baba Harbans Singh with an urgent family problem and as usual Baba Jee listened patiently and asked them to prostrate before Guru Sahib in the darbar and do an ardaas from within following which their prayers would surely be answered. Baba Jee were later seen sitting alone in an emotional state and overheard pleading ‘Guru Har Rai Sahib these Sikhs have come to your door and I have given my word to them to have faith in you and pray before you please fulfil their wishes and have mercy on me’. Such was the unshakeable belief Baba Jee had in Guru Sahib and the power of ardaas.Baba Harbans Singh were firmly of the belief that no one who came to the Gurdwara with a hope or aspiration could go away empty handed. There were occasions when Baba Jee would give money to those who came to them in financial difficulty sometimes even by way of borrowing it off others and repaying them back at a later time.Baba Harbans Singh always emphasised the importance for all Sikhs to attend the Gurdwara regularly and sit within the sangat. They encouraged all to do seva at the Gurdwara in one way or another and even use to sing couplets to those who went to see them such as ‘seva naal lagda meva’ to encourage members of sangat to come to the Gurdwara with a mentality of wishing to do seva. In view of their own background and experience in doing seva in the langar hall at Domeli they in particular used to advocate washing the dishes in the langar hall saying such seva inevitably washed the mind as well.Baba Harbans Singh encouraged the sangat to do as much paath (prayers) as possible and to have darshan of Guru Granth Sahib everyday in the real sense by individually maintaining a sehaj paath (periodic reading of Guru Granth Sahib) on a daily basis. They also encouraged members of the sangat to do rauls (recitals) at akhand paaths (continuous readings of Guru Granth Sahib) at the Gurdwara and personally taught santhiya to members of the sangat to help them understand the correct grammar and pronunciation of Gurbani.In the latter stages of their life Baba Harbans Singh Jee’s eyesight became progressively worse to the extent that they could effectively see with only one eye. The sangat pleaded with Baba Jee to have their eyes examined but Baba Jee steadfastly refused saying the sangat’s money could be better spent on doing seva and that they were happy to accept Guru Sahib’s will.Baba Harbans Singh Jee’s only motivation was the betterment of the Khalsa Panth. Despite their considerable achievements they forever remained humble and never sought any personal gain or recognition for their work. Baba Jee did not have any land or assets or open even so much as a bank account in their own name.